In the measurement of the effectiveness of whistleblowing hotlines, it is clearly shown that companies continually creating awareness of this facility amongst all levels of staff, get the best results from the hotline. 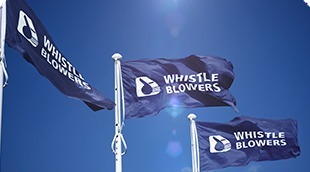 We have been protecting Whistleblowers globally for over 14 years! With a global footprint, presently providing hotline facilities to companies in South Africa, India, the United Kingdom, Canada, Ireland, Australia, New Zealand, Switzerland, Egypt, Zambia, DRC, Namibia, Botswana, Lesotho, Mozambique, Rwanda, Tanzania, Uganda, Swaziland, Ghana, Kenya and Nigeria, we are proud to have partnered with our clients in providing reliable facilities that suit their needs. Thuli Madonsela and Whistle Blowers talking the same language. Public Protector, Thuli Madonsela said on Tuesday that the current whistle-blower protection law contains gaps that need to be plugged. At Whistle Blowers (Pty) Ltd, we promote internal reporting where an employee feels comfortable reporting a matter, no matter how serious. Employees need to have the peace of mind and trust relationship that, should they wish to remain anonymous, their identity will be protected at all costs. A recent survey release by PricewaterhouseCoopers has revealed that South African companies experience more fraud and bribery than their overseas counterparts. The survey showed shocking statistics about South African companies with bribery and corruption having been the fastest growing economic crime in SA being one of them. Read the full article here. Whistle Blowers……….it is time for you to step forward!